Morel foragers are a secretive group. Loath to reveal where they unearth their quarry, each ground-gazing hunter has a theory of the most favorable conditions. Some claim they find their fungi deep in a shady copse. Others look at the base of stone walls. A few claim a symbiosis with certain trees, most particularly after a forest fire. These men and women are obsessed. They may hunt especially in mid morning or late afternoon, they may go out only after a rainstorm or never after a rainstorm, they find morels always under cottonwoods or always under oaks. 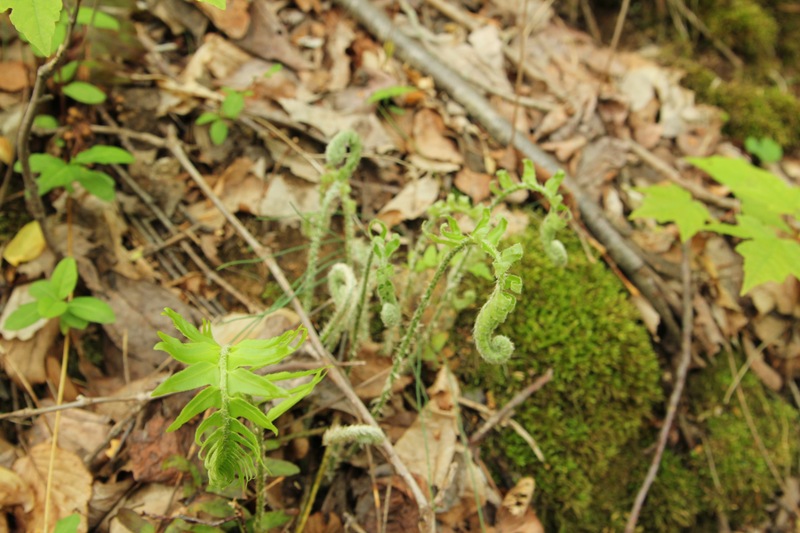 No two foragers share the same set of theories, but there are some overarching themes. They all thrill with reverence when asked about the blondes. After DNA testing, in 2012 the blondes were separated from the rest of esculenta and designated americana. They can grow into beauties large enough to “stuff, using a chopstick, often with goat cheese and chives, but occasionally with salmon or barbecue,” according to Alan Rockefeller who photographs wild fungi in the Pacific Northwest and California. Foragers might start to see morels in Georgia in March; then, with the warming temperatures, in the mid Atlantic in April, then up through New England, across the Midwest, and through the Rockies as the spring progresses. In Canada, the season could be in full swing as late as the end of June. 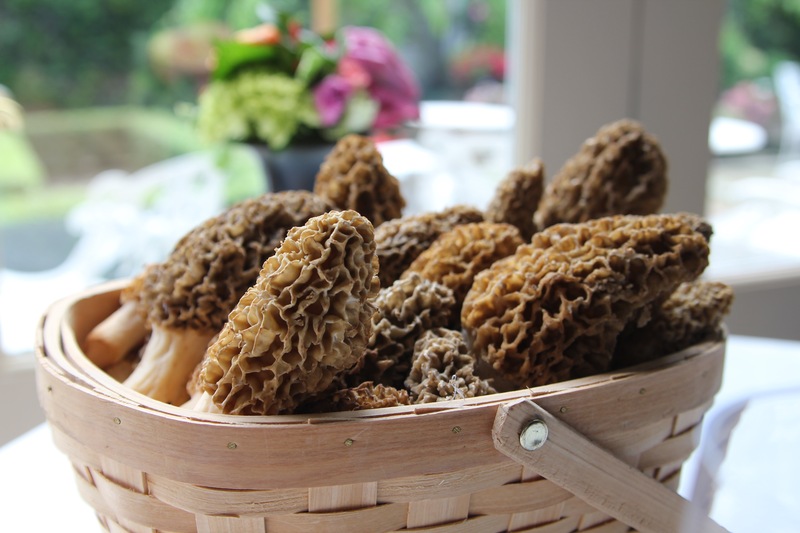 Regardless of where they grow, finding morels depends entirely on heat and rain. Some years there are none, other years there are bushels. 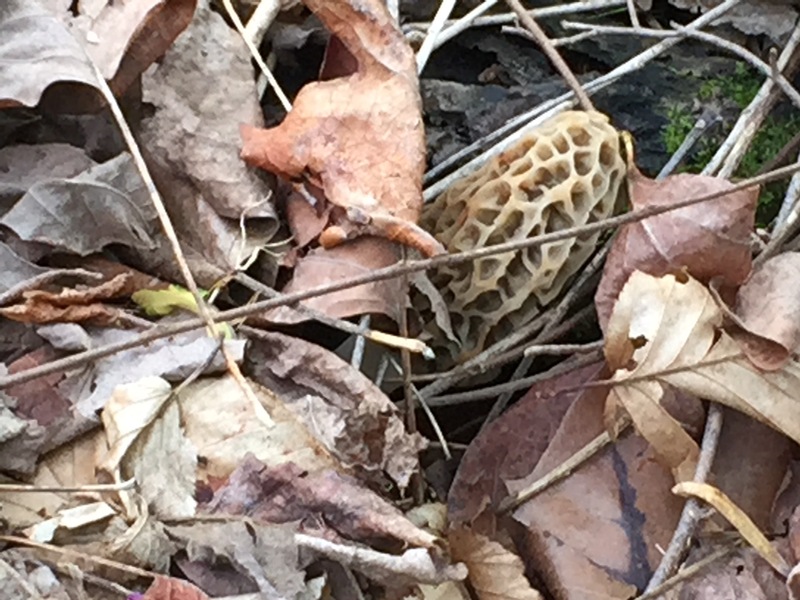 And some say the appearance of the blonde morels are a sure sign of the final days of the season. In western Virginia at the foot of the Blue Ridge Mountains sits The Inn at Little Washington, where for more than a decade Mother’s Day and morels have been a much-anticipated pair. The restaurant’s on-staff farmer, Jenna Brownell, manages a well-appointed kitchen garden. In her free time, like most residents of the small town, she forages. She describes the perfect day for morels: “The soil will be warming up. Maybe it rained the day before, but not too much. All the moisture will have burned off by mid morning. By noon, there they are — gather them quick because another rain will rot them.” Experienced foragers know special patches will be filled again in another three days, as long as the weather cooperates. In Wyoming, Annie Fenn has been gathering morels and other fungi for more than two decades. When she moved to Jackson Hole, it was common for the best restaurants in town to trade with foragers: mushrooms for a meal. Fenn might gather as many as six pounds on a short hike. “In a good year, even a dog walk can mean finding a few morels.” Wyoming has a naturally arid atmosphere, so Fenn dries morels on a rack set out in the fresh air for five days and incorporates dried morels into many of her game-based meals.. For those of us who live in more humid environments, morels can be dried using a dehydrator or a very low oven; either method require patience and several hours. 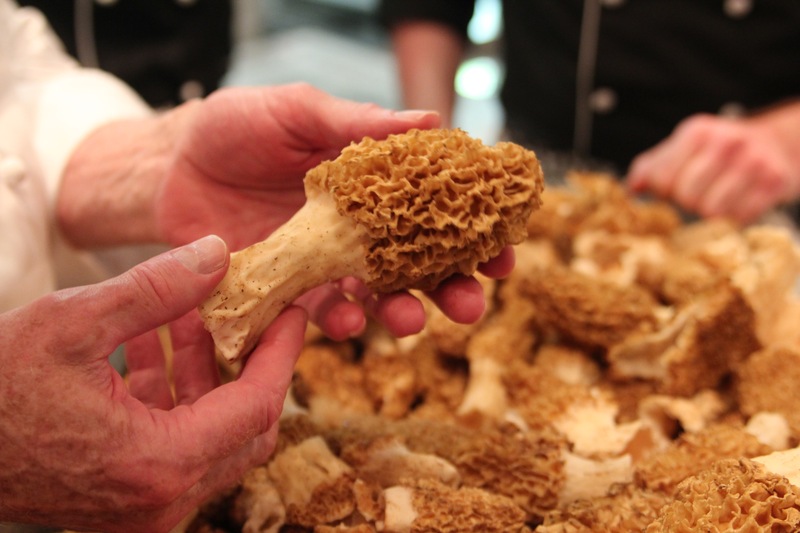 Chefs across the country hum in anticipation of spring morels. 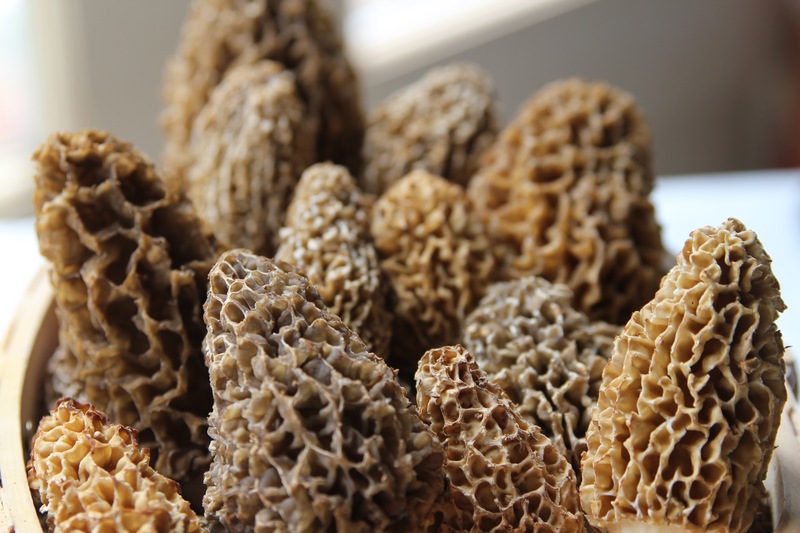 Few make the blonde morel the star attraction of a ten course meal, but few have such a long history with the morel as Patrick O’Connell, chef of the Inn at Little Washington. Tall, spare, and elegant in his signature Dalmation print apron. He spent enough of his youth in the Rappahannock Valley, living in a rustic cabin on the side of a mountain, to be well aware of springtime’s merkel or miracle, the local morel. He used to forage for them with mountain neighbors. After a day of it, there was only one preparation for these fungi: whole or big chunks, dipped in flour, batter fried in lard or bacon fat, and finished in a buttermilk or milk gravy. During hunting season, this rich condiment accompanied venison. 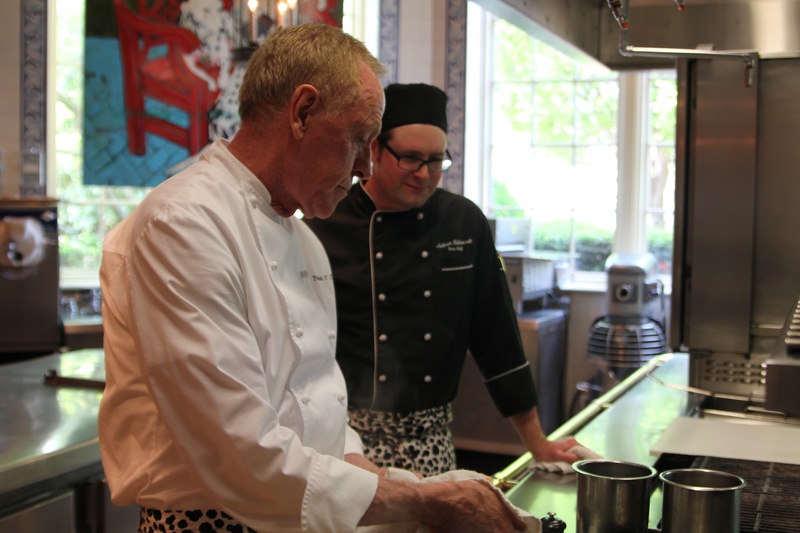 When O’Connell opened the inn in 1978, his kitchen quickly developed a reputation among foragers. The back door was the place to bring berries in berry season, pokeweed in pokeweed season, merkles in morel season. The day I visited the kitchen, large plastic bins — cambios in kitchen-speak — were filled with blonde morels. 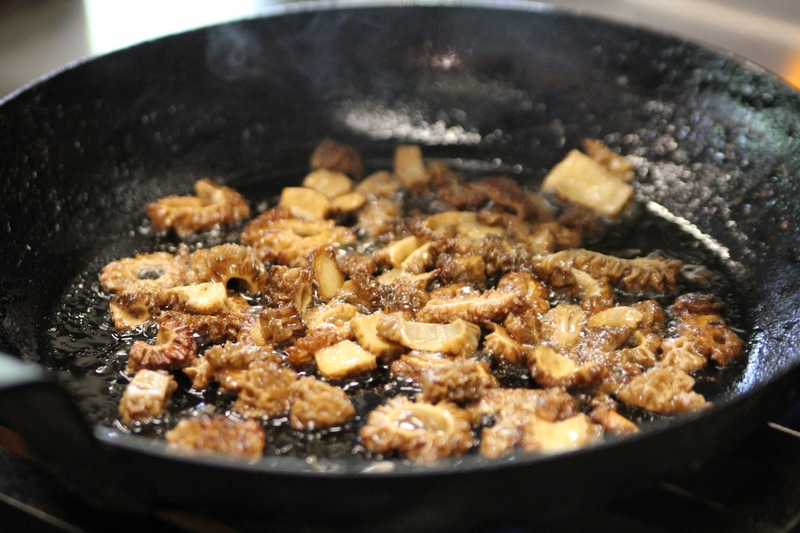 Glossing a black iron skillet with oil, the chef turned the fire on high, until the pan was sizzling hot, explaining, “Home cooks never cook mushrooms hard enough.” The chopped mushrooms danced off the surface of the skillet, turning rusty brown in no time at all. Over a saucepan filled with simmering water, in a round, deep stainless-steel bowl, the chef beat eggs gathered that morning, from the property’s free-foraging Bantams, with a spoonful of crème fraiche. When the eggs cooking in the bowl were light and frothy, he added pinches of salt and pepper and some plucked thyme leaves, and gently stirred the eggs into the softest, gentlest scrambled eggs.. 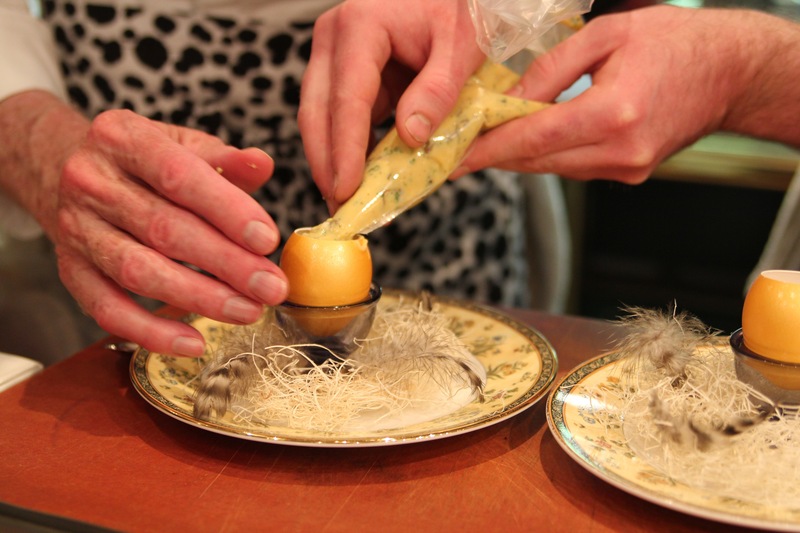 He incorporated the crisp morel bits and a scattering of Comté cheese, and spooned the ethereal eggs into a pastry bag. 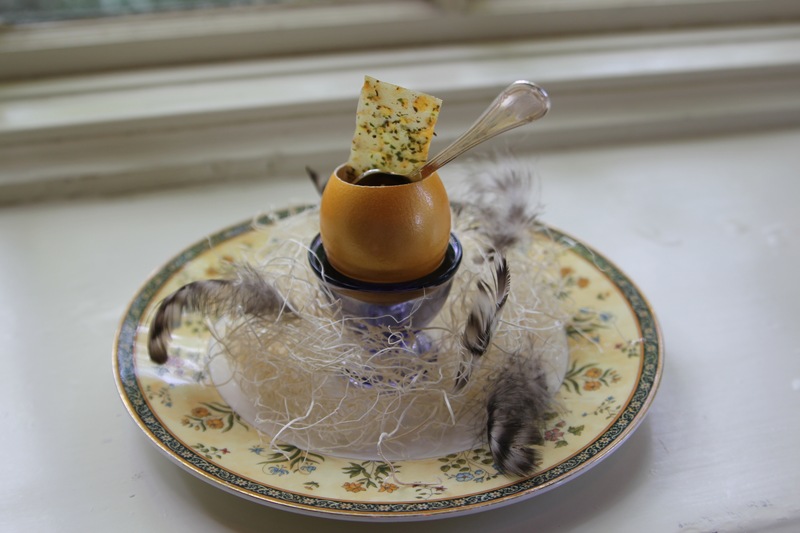 He piped the pale yellow curds into hand-gilded Bantam eggshells, perched each one gently atop a straw nest decorated with a few feathers and set on a fine, floral china plate. A tiny spoon placed inside the shell accompanies the set piece. “This,” says the Chef, “is the egg I served Queen Elizabeth.” It was the most delicious egg I have ever eaten. Each element — the egg, the mushroom, the herbs, and the cheese — distinct, and the combination delectable, with a woodsy freshness like light spring rain. 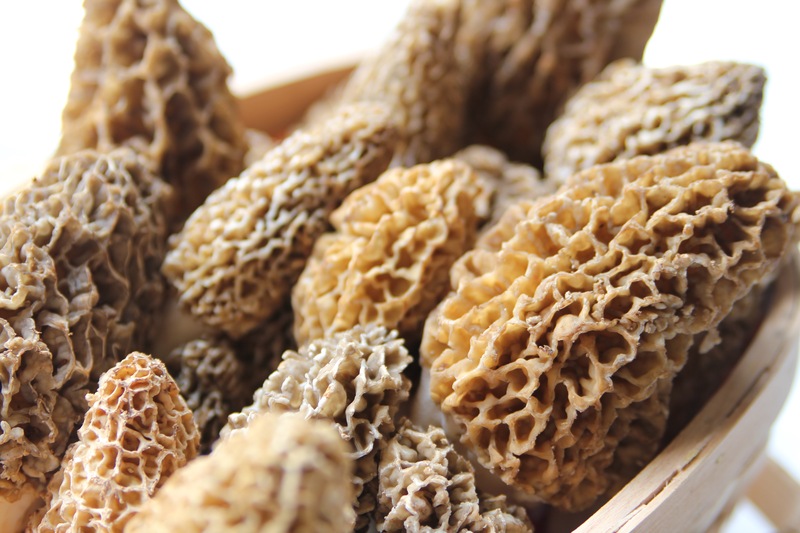 O’Connell finds the blonde morel more sturdy than the dark variety and describes the flavor as more like veal than anything else. And like veal, the morel loves a good sauce. In addition to those eggs, the inn’s special morel menu includes a creamy dish of gnocchi with asparagus tips and morels, sea bass topped with morels and tiny shrimp dumplings in a lemon-vodka sauce, a hearty pan-roasted chicken lashed with creamy morel sauce, and then a glorious rib eye with roasted tiny potatoes and sugar snap peas in a red wine– morel reduction. 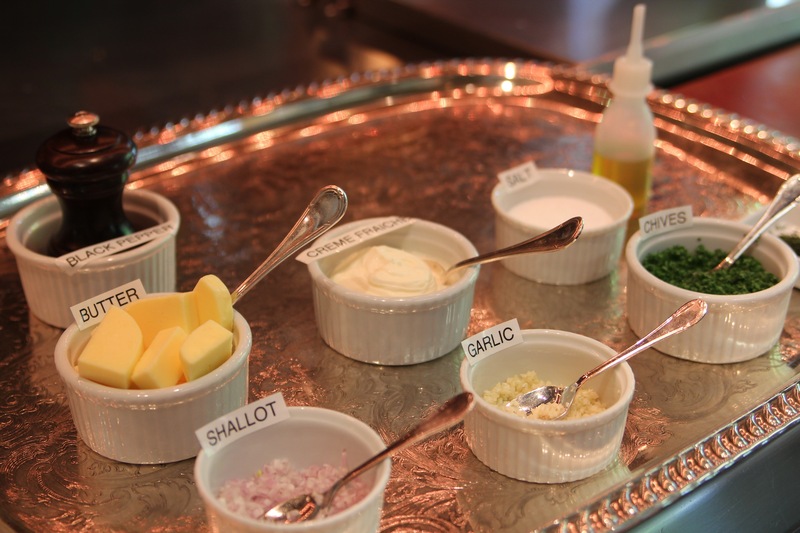 The day I visited, the kitchen was playing with a morel gougère that brought out all the blonde’s best qualities. King dehydrates plenty, cooks a lot and freezes those, but he is particularly pleased with pickled morels. On the menu, playing off a French Laundry recipe for palettes, a cooked egg yolk, cream and flour mixture with plenty of garlic and butter is stuffed into a sautéed morel. Battered and fried, the texture and flavor were reminiscent of escargots, with the snap of Appalachia. The photographer Alan Rockefeller says morels are everywhere but no one sees them. He recalls finding a patch in a friend’s backyard, the very moment his friend “declared he never found anything.” Rockefeller looks everywhere, but says abundant patches are found around dead trees or in areas where there have been fires. He reminds new foragers that uncooked morels can be toxic. Look for them under old tulip poplars. Morel gougere? Pickled morels? I have got to try these! It’s raining hard in Jackson Hole right now and all I can think about is all the morels waiting to pop up once the sun shines. Love your story Cathy! Well, I live near this restaurant, and hunt morels for the family . I loathe these commercial hunters that sell to the restaurant . Morels were once abundant here, but are becoming harder and harder to find .. Take what you need and leave the rest .. I had my yard landscaped, and these morels popped up everywhere in the mulch that was put down. I live in Topeka KS and my daughter has invited me out to hunt for Morels. 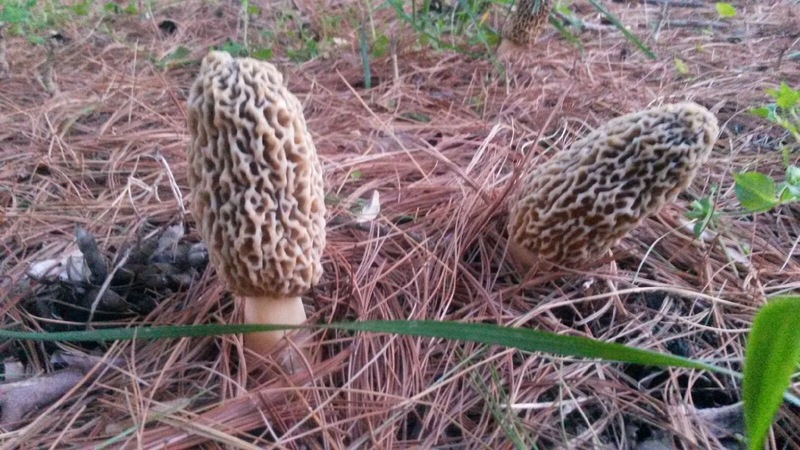 Does anyone know if the blonde Morels can be found in KS? Thanks. Never knew there were blonde morels. My husband and his family mushroom hunted. Never saw them.